The 11 electricity distributions companies (Discos) in Nigeria’s power sector yesterday alleged that the inability of the Transmission Company of Nigeria (TCN) to wheel maximum generated electricity to their respective networks was costing them a monthly revenue of N1 billion. The Discos spoke through their platform, the Association of Nigerian Electricity Distributors (ANED) in response to TCN’s recent claims that the Discos and not it was the weakest link in the country’s electricity value-chain. Their claim of TCN’s operational ineptitude was contained in a statement from the Executive Director, Research and Advocacy of ANED, Mr. Sunday Oduntan in Abuja. ANED said the TCN still had the unholy character of defunct and hugely corrupt Power Holding Company of Nigeria (PHCN), adding that the company has not been able to guarantee its members, mostly in the north, stable power supply. It explained that the Discos as alleged by TCN, could not be rejecting power or load-shedding their customers because the economics of their tariff was built on improved power distribution and consequent revenue collection. 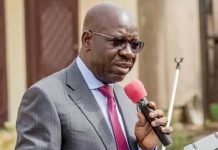 It also noted that the TCN’s plan to execute 22 transmission projects and improve their wheeling apacity to above 6000 megawatts (MW) within 2016 was doubtful, given that the country was already within the fourth quarter of its financial year and no tangible fund has been given to the TCN for the projects by the government. “It is unfortunate that the new management of TCN, with the departure of Manitoba Hydro, rather than reach out, in partnership, to work with the other stakeholders of the sector, is more interested in pointing fingers and playing the blame game. “No matter how TCN wants to play it to color the reality of transmission shortcomings, transmission remains the weakest link in the power value chain,” said ANED. It said: “To date, the maximum wheeling capacity reached by TCN has been 5,074.7MW versus its claims of increased capacity from 5,500MW to 6,000MW, wholly untested and unproven. It explained that: “In view of the dire need of generation, as well as the generation thresholds in the Discos’ tariffs, which constitute the basis of their revenue recovery, it is inconceivable to think that any Disco would load-shed, thereby diminishing its revenue prospects and alienating its customers. “Discos are currently experiencing a monthly loss in excess of N1 billion due to limited transmission capacities in various areas of the country, especially the northern part. Even worse, is TCN’s inability to meet its financial obligations, relative to this shortfall, thereby compromising the Discos’ ability to meet their obligations to the Market Operator,” it added. ANED said it will welcome TCN’s operational improvement which it said can only happen with proper funding, upgrade of its project management capacity, and competent personnel. It said the power privatisation was premised on turning around the operational profile of the TCN but that progress in that direction has remained quite minimal. Meanwhile, Enugu Electric Distribution Company (EEDC) yesterday expressed dismay over the activities of vandals in tne South-east zone, noting that it has recorded over 78 cases of vandalism from 2015 till date and in the process lost facilities worth several millions of naira. This came as a group of vigilantes, in the early hours of Tuesday, August 23, 2016 apprehended a team of vandals after they vandalised three upriser armoured cables of a 500KVA, 11/0.415 Distribution Sub Station, property of EEDC at Rehab Road, Emene, Enugu State. One Mr. Paul Ike, who escaped and his accomplice, Mr. Chibuike Nwosu, a dealer of electrical equipment at shop 37 Adelabu Street, Kenyatta, Enugu, said to be the buyer of the vandalised installations were apprehended by the vigilante group as they were allegedly attempting to abscond with the installations in a Nissan Bluebird salon car with registration number NSH-160 CW, belonging to Nwosu. The latest incident came after an earlier attack on the same Sub Station on Thursday, August 18, 2016, where the vandals made away with one armoured intermediate cable, while the 2-Phase and neutral cables were recovered. In a statement signed by the Head, Communications of EEDC, Emeka Ezeh, the company expressed worries that it was already making arrangements to replace the stolen intermediate cable after the incident was reported, so that electricity supply can be restored to its customers who were already being inconvenienced as a result of the ugly incident, when the vandals came back to complete their unfinished business. Luck, however ran out on them. Ezeh noted that four vandals were also recently caught in Umuahia, Abia State while allegedly vandalising Udi Street Distribution Sub Station belonging to EEDC. The group actually came to finish up their attack on the Sub Station which had also been vandalised earlier. It took the intervention of a private security man attached to a fast food eatery in Umuahia, who apprehended one of the vandals and raised an alarm, which attracted a team of Police officers on patrol that eventually assisted in arresting the remaining three. This group confessed being responsible for other acts of vandalism that occurred in the District. “All the apprehended vandals were subsequently handed over to the Police for further investigation and prosecution, together with all the recovered armoured cables.